S.D. 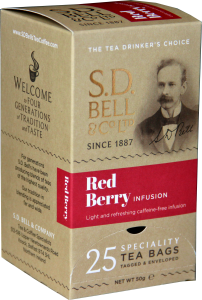 Bell’s exquisite new boxes are a functional solution for displaying their envelope range of high quality blended teas. One design feature of the box is the perforated semi-circle at the bottom of the face of the box. 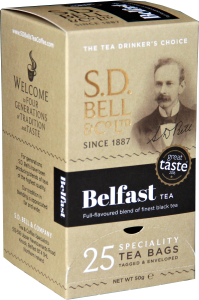 Once the perforation has been torn, the structure of the box allows for the tower of teabags to cleverly drop each time a tea bag is removed and thus dispenses the tea as and when required. 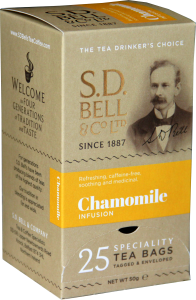 Producing this type of presentation box highlights the quality of the brand and product. The packaging design and finish should compliment this as the box is continuously visible, handled and used until the product is empty. – Robert Bell, Managing Director, SD Bell & Co Ltd.